In a perfect location on the east coast of Florida between Jacksonville and Miami, Maronda Homes is building in the popular Port Malabar Palm Bay region. This is the largest city on Florida's Space Coast, Palm Bay fills the southernmost portion of Brevard County. It's an active, outdoor community that welcomes visitors to enjoy spectacular recreational facilities. With over 29 parks to choose from, Palm Bay is a favorite with nature lovers and fishermen.This is a hub for opportunities and has home designs that you and your family will love!Located in Brevard County, this area is becoming one of the largest and fastest growing areas, making it the ideal location to build the home of your dreams.Building a life in this community is easy because of the quality of living. Employment opportunities are growing and is said to be one of the most prominent places to move. As a perfect new home for families, Brevard County holds a great reputation with the school districts in the area. The schools in the area are ranked some of the highest in the state. Moving to higher forms of education, Palm Bay University is a local favorite with many students. Looking for some fun and play? Recreational activities are all around. From friendly dog parks to local events held by Palm Bays little league or their extreme sports center, there is always an event for people to find and become a regular at. Enjoy the outdoors? You can take advantage of some of the best camping, fishing, boating and canoeing in many of the conservation lots across the land and also by the Indian River Outlet. 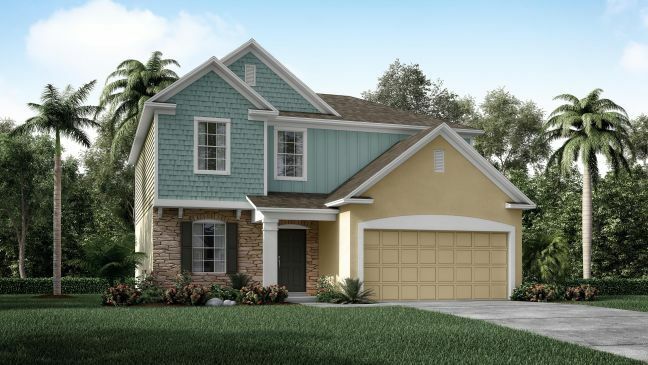 Coming home to a Maronda Home in Port Malabar Palm Bay would be a great start in building your life in Florida!